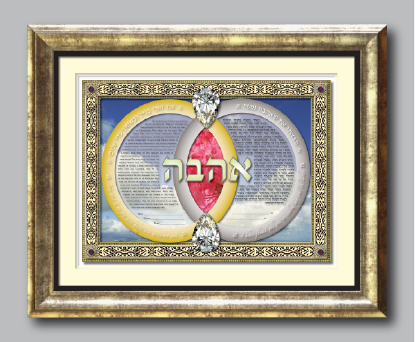 Surrounding this exquisite ketubah is an ornate carved ivory border with gemstone accents. 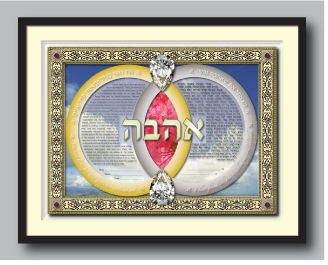 This border serves as a window to the majestic image of the rising sun at dawn, symbolic of the dawn of a new life for the bride and groom. 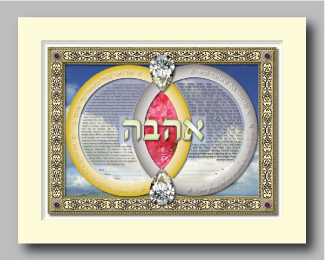 The Hebrew word “Ahava”, meaning “Love” is prominently featured above the central window. 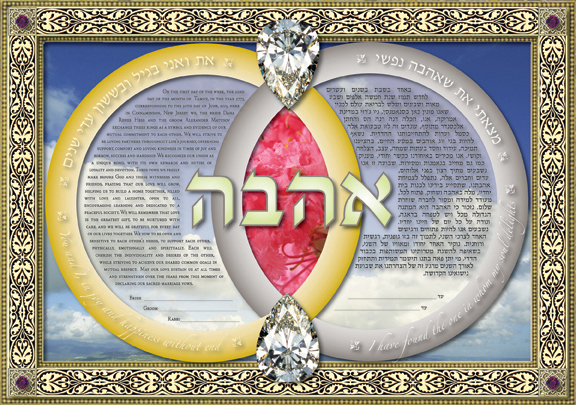 In the center of the ketubah are two intertwined rings, one gold and one platinum, signifying the partnership and unity of the betrothed. Each ring is engraved with a romantic statement of love. Above and below are flawless pear-shaped diamonds. 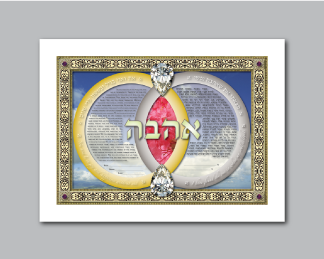 These represent, not only the strength of the union of marriage, but also of the purity of spirit of the bride and groom.